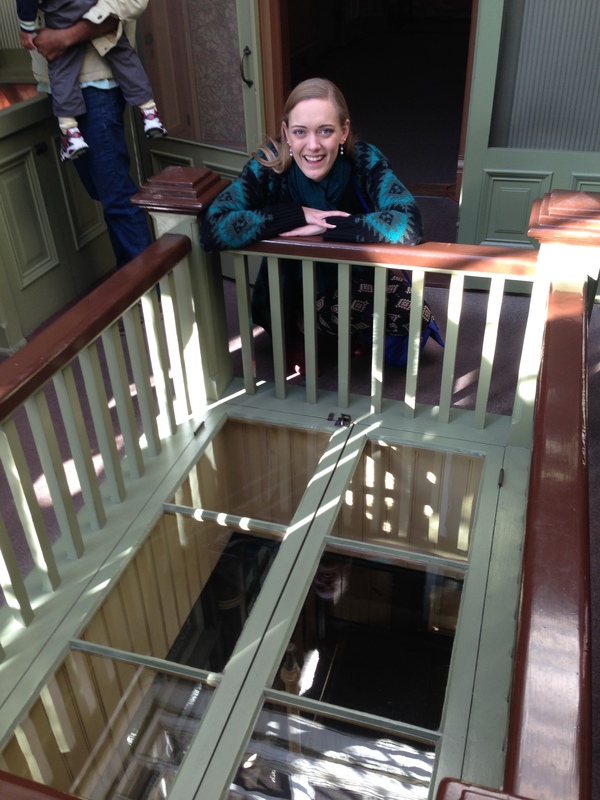 winchester mystery house Archives - Hello, Kristina! Time for a bucket list post! Back in December, I took a road trip with Joe down the coast to LA, making a few choice stops along the way. 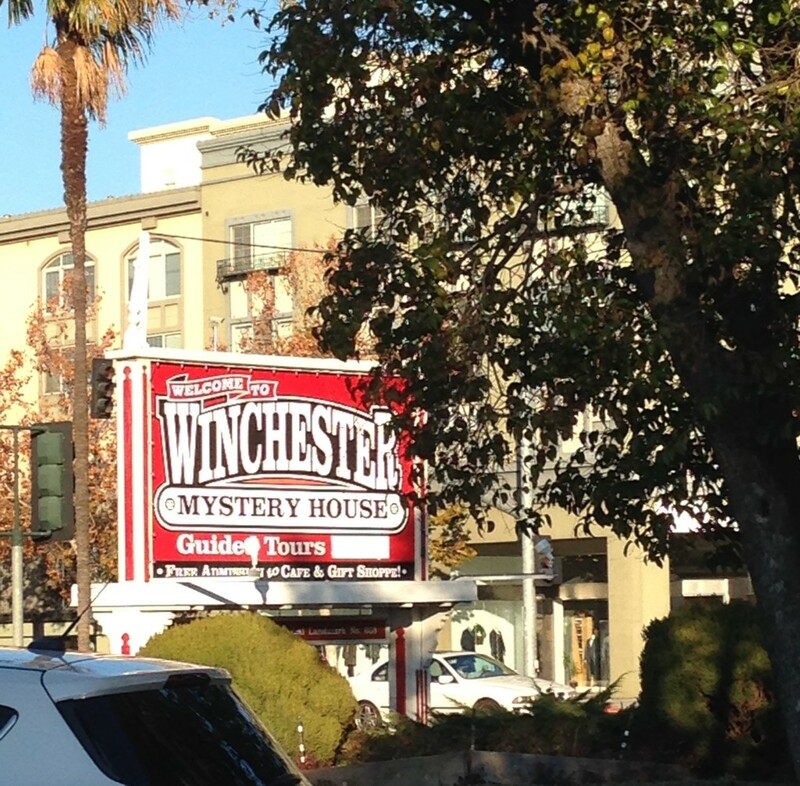 One, of course, being the Winchester Mystery House. I had heard about this place before but never found a reason to stop – being in San Jose, it’s not exactly on the way to anything, so we factored an extra half a day into our trip and made it a priority. We were not supposed to take pictures inside the house, so this picture below is usually all tourists walk away with. Our tour guide, however, was a huge geek about the house and understood the need to photograph the experience. She told us if her back was turned, there “would be no way for her to know we were taking pictures”. 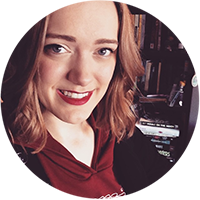 So, blog post commence, am I right? The Winchester Mystery house is less of a house and more of a RIDICULOUSLY HUGE mansion that resides in Northern California. The property once belonged to the late Sarah Winchester, the widow of William Winchester, of prestigious Winchester Rifle fame. Sarah Winchester was also certifiably nuts. She placed the fate of her existence in the hands of a psychic after the death of her husband and only child. She asked this medium why she had suffered such a terrible loss, and the medium told her that the Winchester family was cursed. Sarah Winchester believed this, and felt the ghosts of those killed by Winchester rifles were pursuing her family. The medium told Sarah that she could confused the ghosts by building a house that was always changing. Sarah took this advice, moved to California, and begin to build. The house stayed under construction until the day she died. She had a permanent team of builders that worked on the house, and she kept many of the same ones for most of her life. One of the first things she had constructed in her new house was a séance room, which she used every single night. Each morning she would give her builders new plans based on what the spirits had told her the night before, which led to a lot of crazy building plans. Well, that and the fact that Sarah Winchester had very little architectural experience herself. This is a second story door that opens to nothing but a straight drop off outside. 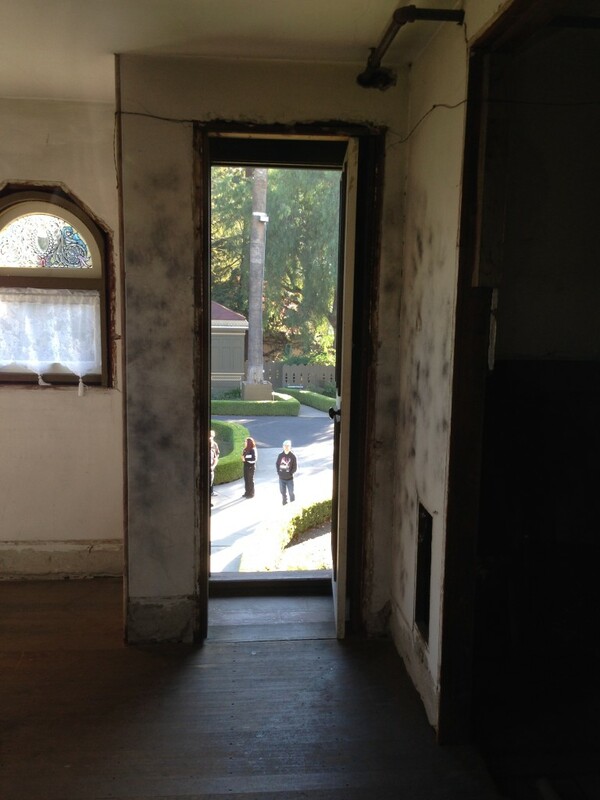 Other doors open to blank walls, staircases lead to nowhere, and windows were installed in floors. We were warned multiple times on our tour not to wander off, since it’s totally possible to get lost meandering around for hours in the confusing mess of rooms. Staircases and doors weren’t even the strangest features – probably the craziest part of the house was the “Switchback Staircase”, a flight of stairs that only went up nine feet but includes seven different flights of two inch steps. There was also a staircase that went up and immediately back down to take you to a floor just mere inches higher than the one you were just on. Also, despite the 160 rooms in the house, 40 bedrooms, 2 ballrooms, 47 fireplaces, 17 chimneys – the entire house only has one shower. Bet that makes dorm life seem a little easier now, doesn’t it! The house also included an incredible amount of technological innovation. For the late 1800’s, it was quite rare to have furnishings such as steam and forced air heating, modern toilets and indoor plumbing, push button gas lights, and a hot shower. The house also contained three elevators, as well as stained glass windows created by the Tiffany company. These stained glass windows still reside in the house, specifically one designed by Tiffany himself that’s value is said to be inestimable. It was carefully designed so that when light hits the crystals in just the right way, the room would be engulfed in thousands of rainbow prisms. 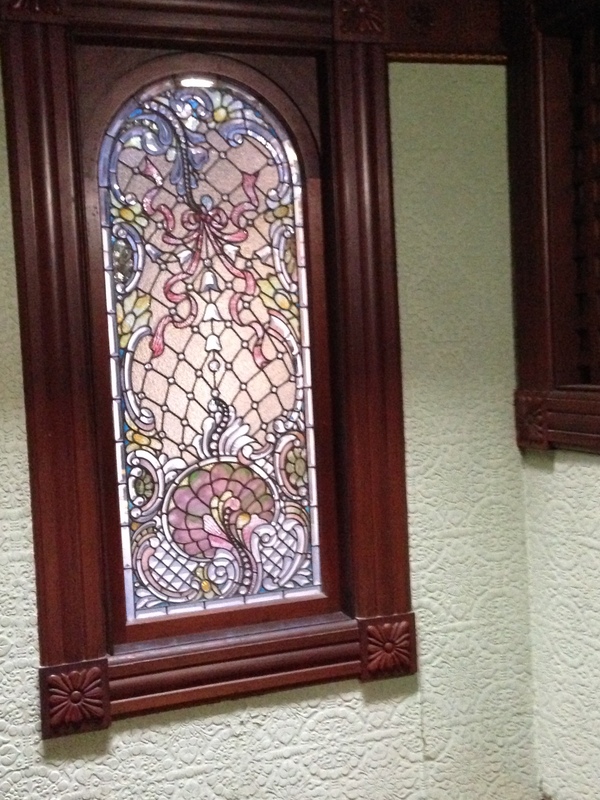 Of course, Sarah Winchester chose to install the window in a room facing a wall with no direct light whatsoever. Before the giant earthquake in 1906, the Winchester House was seven stories high. Sarah Winchester never bothered fixing most of the damage done to the house, so the house remains to be merely four stories to this day. As I said, there was round the clock construction on this house for 36 years from her team of loyal builders. She paid them quite well, as she was well-equipped to do so. She inherited more than $20.5 million when her husband died, as well as fifty percent ownership of the Winchester Repeating Arms Company. Her income was around $1,000 a day, which, back in those days was more liked $30,000 a day. THIRTY THOUSAND DOLLARS. PER DAY. I’D PROBABLY GO CRAZYTOWN TOO. Sarah Winchester died in 1922, at which point construction on the house immediately stopped. The total amount of money spend on the construction has been estimated around $5.5 million, which in today’s terms would be more than $75 million. 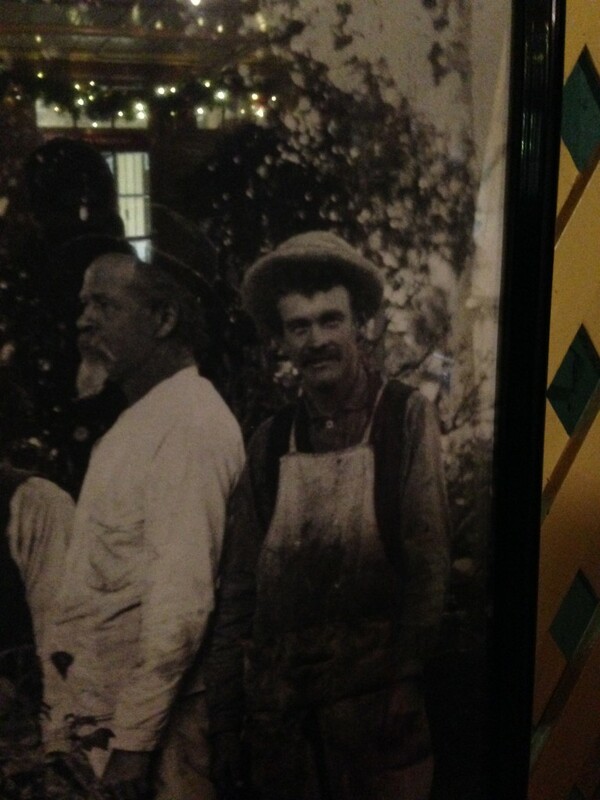 Nowadays, of course, the staff at the Winchester Mystery house still believe the place is haunted. This man in overalls (pictured below), one of Sarah Winchesters esteemed builders, is said to be seen walking around the house, doing maintenance and continuing to work on the house even after all these years. I don’t know if I believe it, but the house sure is crazy. You can feel the vibe of crazy thick in the air as you walk around, ducking so as not to hit your head and you wander through tiny doorways, secret passageways and stairways meant for incredibly short people. I immensely enjoyed my tour through the Winchester Mystery House, but then again, I do love a good haunted house. Sarah Winchester’s story fascinates me, and I am so glad others felt the need to preserve her life and allow us to experience a small piece of it. 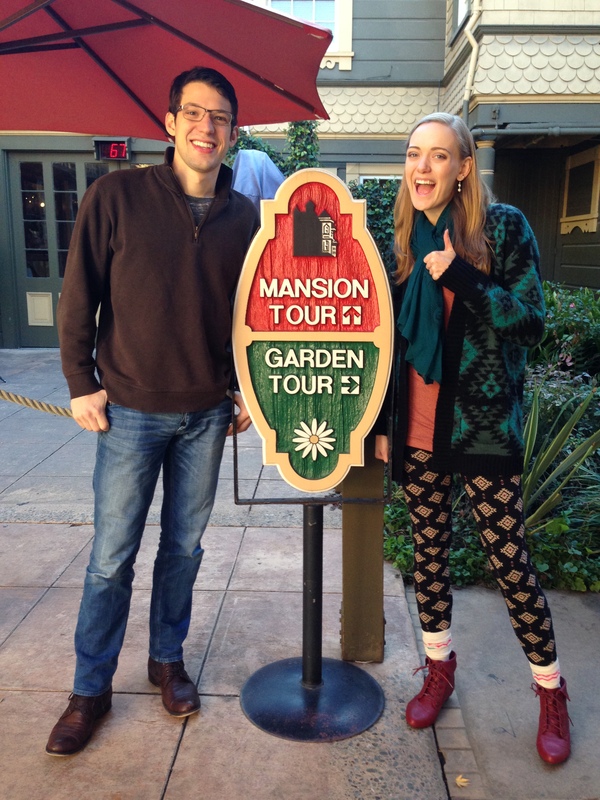 Have you been to the Winchester Mystery House? Have you driven by it? I’d love to hear your thoughts in the comments! Also, please recommend other haunted houses or must-see locations for lovers of spooky and unexplainable things! Thanks for reading, and hopefully I’ll be back soon to cross another thing off my bucket list!